Rapper, mogul, saviour of the music industry and business, man Jay Z has 'taken to' Twitter to defend Tidal against the "many big companies that are spending millions on a smear campaign" to take the streaming service down. After someone noticed last week that Tidal had dropped out of the top 700 iOS apps, Beyonce's husband explained and pleaded with fans to give the service a chance using the relevant hashtag #TidalFacts. 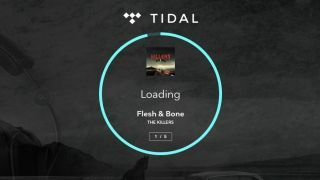 "Tidal is doing just fine. We have over 770,000 subs. We have been in business less than one month," he began. Which sounds great, sure, but the company already had 580,000 paying subscribers at end of Q2 2014 so it doesn't sound like Hova and pals have actually convinced that many people to sign up yet. But, of course: "The iTunes Store wasn't built in a day" and "It took Spotify 9 years to be successful. We are here for the long haul. Please give us a chance to grow & get better." Then things got a bit paranoid android: "There are many big companies that are spending millions on a smear campaign," he claimed, which we're not entirely convinced is happening. We're not sure that 'many' companies have a Take Down Tidal budget that runs into the millions. "We are human (even Daft Punk ha)," he joked, bringing a bit of levity to what is clearly an extremely serious subject. "We aren't perfect - but we are determined." Also, his cousin has moved to Nigeria so everything is going to be fine: "My cousin just moved to Nigeria to discover new talent. Tidal is a global company." ...And now here's a Jack White concert, followed by a thousand terrible "Jay Z's hundredth problem" jokes.